The European Commission's recommended a set of operational steps and measures to ensure security, when it comes to fifth generation networks. 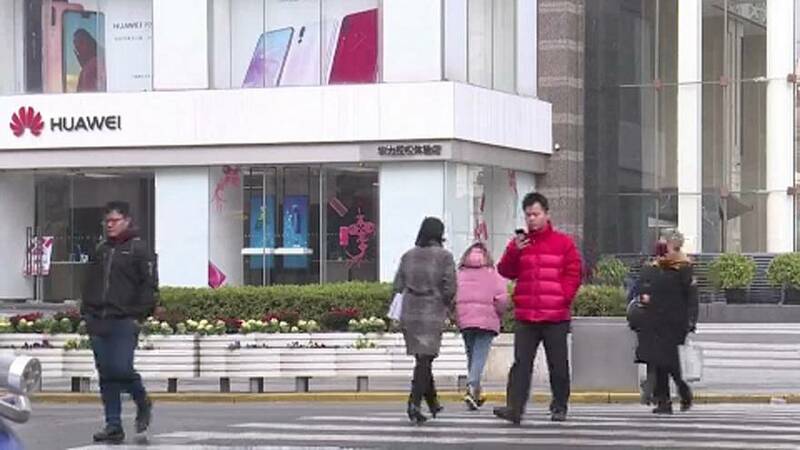 It come amid fears in some EU countries about the development of 5G by Chinese tech firm Huawei. The US has said it could give Chinese security services a backdoor to spy on consumers - and is piling pressure on Europe. Huawei says the fears are unfounded. "Of course it can be a threat. I would not trust China on this, but equally I would not trust the Americans either. If we are gonna do this seriously, we really need our own technology what is not possible at the moment," Glyn Ford, Founder and Executive Director of POLINT, told Euronews. It comes amid tensions over the Belt and Road Initiative - a massive Chinese transport infrastructure project - backed by Italy. France, for one, has criticised Rome for acting alone, calling for a European approach to Beijing instead. But one Italian MEP questions why there's such criticism when China signs agreements with Paris. "France is defining commercial aspects, but does it with a European dimension, giving China the idea of a European force," commented Salvatore Cicu. The EU is China's biggest trading partner, but Europe's becoming more defensive. Tensions running deep over Beijing's slowness to open up its economy and a wave of Chinese takeovers in the EU. China's also seen as not standing up for free trade. Experts say WTO rules need to be looked at again. "I don´t see China breaking the rules, I see it in a sense that rules have to be reviewed. China is now a global power that was not 15 years ago," said Glyn Ford. The debate comes as the EU gears up to host its 21st bilateral summit with China. That's due to be held in Brussels on 9 April.